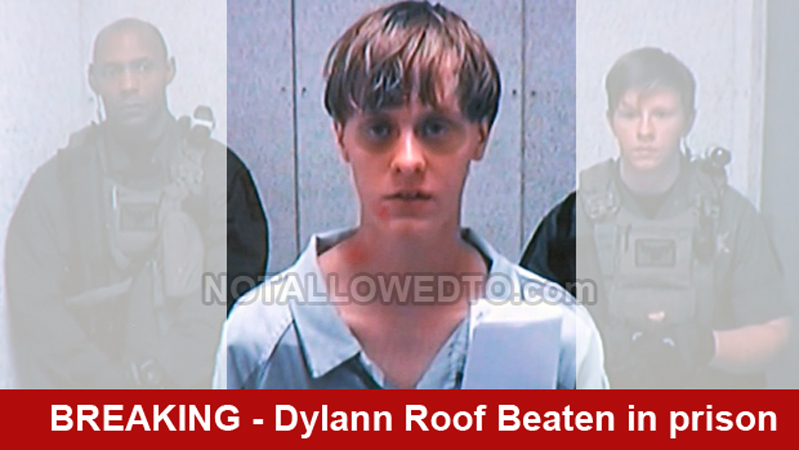 SOUTH CAROLINA – Charleston Church Shooter Dylann Roof, responsible for murder of 9 black churchgoers on June 17, 2015 has been physically assaulted in prison. Lawyers for Dylann Roof has filed a lawsuit against the South Carolina Department of Corrections for allegedly allowing prisoners access into Roof’s 5 foot by 7 foot prison cell. Lawyers for Dylann Roof, Chris Millis Law, alleges that South Carolina prison officials have violated Roof’s Eighth Amendment rights on multiple occasions, allegedly “setting the stage” for the physical assault. Dylann Roof, 21, has been incarcerated for the mass murder of nine African Americans, including senior pastor and state senator Clementa C. Pinckney. The attacked took place inside the Emanuel African Methodist Episcopal Church in downtown Charleston, South Carolina. Roof’s condition is said to be stable.